Part of the cost of our trip was also a fundraising exercise as part of Abercrombie & Kent’s Philanthropic program which has been running for 26 years. 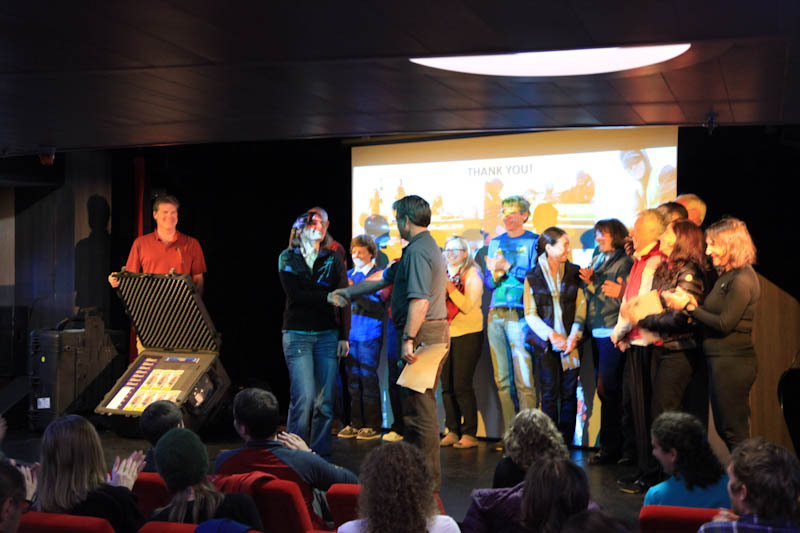 The funds raised from the passengers on board as part of the A&K Fighting Climate Change in Antarctica program, was about $12k which was used to pay for scientific equipment for the US Scientific program in Antarctica and more specifically research work at the US base Palmer Station on Anvers Island. I could pretend to describe verbatim what this equipment does but in all honesty I am no scientist, but it basically is involved in testing of water samples in Antarctica. It would do the work of 10 graduate students working 24hrs a day for a month in a couple of days, so the benefits are untold for the ability to increase the research work for this particular program. What was nice about this expedition was that we had Dr. Jim McClintock a Marine Biologist and field ecologist, who leads the A&K’s philanthropic Fighting Climate Change in Antarctica program. He is an endowed Professor of polar and marine biology from the University of Alabama Birmingham. He joined the expedition in his role and also for our benefit as a lecturer in climate ecology. 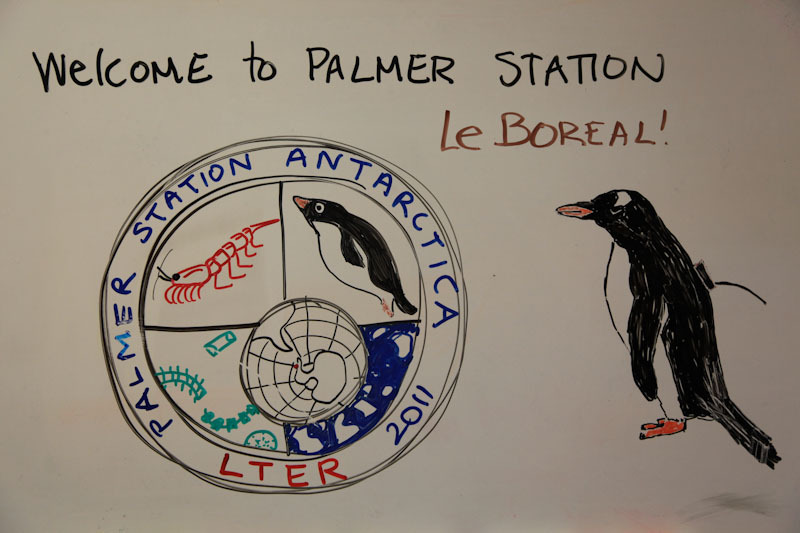 He also was there to present and deliver the equipment to the scientists at Palmer Station. As a result of our fundraising and this Philanthropic trip we sailed to Palmer station on the Antarctic Peninsula on day 4 of our expedition. The staff and scientists gave us a presentation on the current research work taking place. Lead by Dr. McClintock we also had a mini ceremony handing over the equipment that was very well received and greatly appreciated. The Dr. highlighted the fact that the gift was from 12 passenger nations and helps support research that impacts the entire world. Once the presentation was finished the passengers had unique opportunity to visit the station. It was great to learn about what they do and how life is not only in summer but also during the winter and the long dark months in Antarctica. The research work here is very serious stuff, but we also got to see a lighter side of life on the frozen continent. This included the large plastic fish tank that has been converted into a hot tub overlooking the glacier, sampling the local brownies and hot chocolate and also shopping at what must be the southern most gift shop in the world…..some of you may be lucky enough to get something from here!! As a parting note I will say that the expedition and the lectures and talks with Dr. McClintock simply reconfirm what I know and believe about the current state of our world and the threat to its future. If anything helps you grasp how important this subject is and that we all become aware and act then look at the below; This glacier behind Palmer station 30 years ago was at the backdoor of the station today its about a 1km away. That may not sound like much but we are talking about the loss of ice that was 10’s 100’s even millions of years old. The discussion is no longer about Global Warming, its about Climate Change, its not about if its happening, its about how and why! If you wish to find out more about the A&K program you can visit www.akphilanthropy.org .